Michael Bloomberg is no doubt one of the richest and business savvy men in America. He is a businessman, author, politician, engineer, and philanthropist with an estimated net worth of $51.7 billion. His financial status, thus, makes him the 8th richest person in America and the 11th richest person in the world. Apart from his massive fortune, he advanced a political ambition by serving as the Mayor of New York from 2001-2013. More about his life’s journey below. Michael Rubens Bloomberg was born at the St. Elizabeth’s Hospital, in Brighton, Boston, on the 14th of February 1942. He was born into a Jewish family. His mother’s name was Charlotte Rubens (January 2, 1909 – June 19, 2011) and she was born in New Jersey and his father, William Henry Bloomberg (1906–1963), was an accountant for a dairy company. Until Michael was two years old, he and his family lived in Allston, Massachusetts after which they moved to Brookline, Massachusetts. Two years later, his family finally settled in Medford, Boston where Michael lived till he became a college graduate. He had his college education at the Johns Hopkins University and while in school, he was quite an asset to them as he constructed the mascot, “Blue Jay,” for the school in 1962 when he was a sophomore. By 1964, he graduated with a Bachelors of Science degree in Electrical Engineering. Interestingly, he was a member of Phi Kappa Psi. Because of his love for education and determination to get the knowledge that will aid him in achieving his goals, he decided to get his Masters, which he did when he graduated from Harvard Business School in 1966. He partnered with a Bulge-Bracket Wall Street Investment Bank called Salomon Brothers in 1973 in which he managed the systems development before moving up to manage equity trading. Phibro Corporation acquired Salomon Brothers in 1981 which subsequently resulted in Michael being laid off without a severance pay. However, he did not have much to worry about as he owned $10 million worth of equity as the firm’s partner. Upon his exit from Salomon Brothers, he decided to start his own company and that was how Innovative Market Systems was born. This business was based on his realization that Wall Street is willing to pay lots of money long as they could get quality business information in different usable forms. The new company soon welcomed its first customer, Merrill Lynch, in 1982. The client invested $30 million and installed 22 of the company’s Market Master terminals. After this, the company changed its name to Bloomberg L.P in 1987. By 2015, over 325,000 terminal subscribers worldwide were being managed by the company. He later left his position as the CEO of his company and handed it over to Lex Fenwick in order for him to focus on a political ambition as the Mayor of New York City. In 2001, he was elected as 108th mayor of New York in which he had 3 major consecutive terms to lead. He devoted 8 months of his last tenure in philanthropy work. After his tenure ended, he made the announcement that he planned to return as the CEO of his company – Bloomberg L.P. at the end of 2014, which he did. He has been rumored to have the interest in contesting for the United States top job but Michael has continued to deny the claims. As the speculations continued to grow as to whether or not he was running for President during the 2016 presidential elections, he endorsed another candidate (Hillary Clinton). Michael also has an autobiography which was written with the aid of his company’s News Editor-in-Chief, Matthew Winkler. The autobiography is named Bloomberg by Bloomberg. Michael got married to his heartthrob, a British woman from Yorkshire, Susan Elizabeth Barbara Brown, in 1979. Together they had two lovely girls, Georgina (born in 1983) and Emma (born in 1979). Because they were born into wealth, they were featured on a documentary short movie which examined the lives of children who are born into extreme wealth. Divorce came knocking for the couple in 1993 but Michael claims that regardless of the divorce, they (himself and his ex-wife) still remain best friends. By the year 2010, Michael found solace in the arms of Diana Taylor, a former New York state banking superintendent whom he was living with. To keep the wealth in the family, his daughter, Emma, got married to the son of another billionaire, Christopher Frissora. 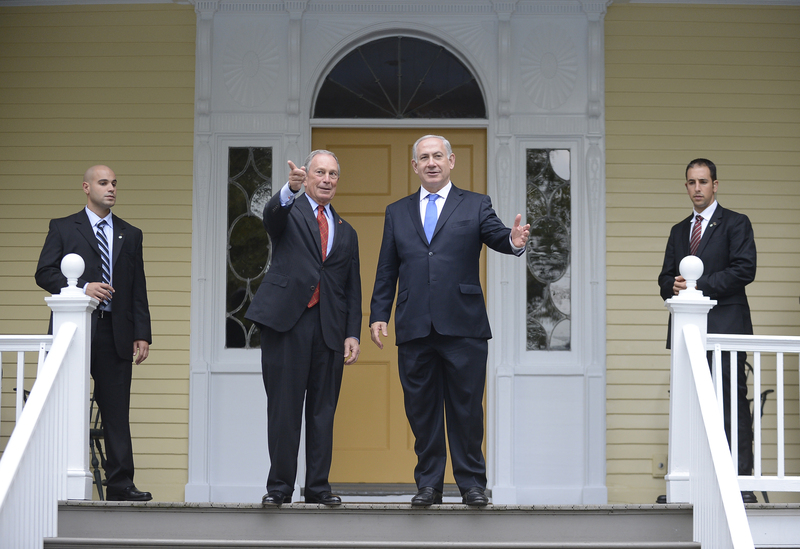 In terms of his religion, Michael Bloomberg was born into a Jewish home. Though he attended a Hebrew School, maintains a Kosher Kitchen, has a Bar Mitzvah, he seems to have become more secular at the moment as he didn’t raise his daughters to have a Jewish identity. Michael Bloomberg also attends the synagogue only during important holidays. It can be quite a let down when a business mogul is not also a wealthy man in terms of his height. But not to worry, Michael Bloomberg has got the height to back up his influence. The billionaire stands tall at 5 feet 6 inches (1.73m), and that stat for a man of his standing, is not bad at all.